We spent extensive time researching the web to be able to provide a comprehensive Marketplace Superheroes review. The ultimate goal was to determine whether it is a scam or a legit program. With this Marketplace Superheroes review, you will learn whether it is a scam or if it is a legitimate way to earn money. Marketplace Superheroes is a program allowing you to learn how to sell private label on Amazon. The program states that you simply follow along and learn what it has to offer. It further states that with what you learn, you are able to easily get started right away. The purpose of the program is to build a global business on Amazon. Users will purportedly learn how to find items that are low competition and simple, making them fast and easy sellers. The program says that you do not have to have any experience selling on the Amazon platform to be able to learn and execute the program. You will be able to skip years of mistakes and get started immediately. How Does Marketplace Superheroes Benefit Members? 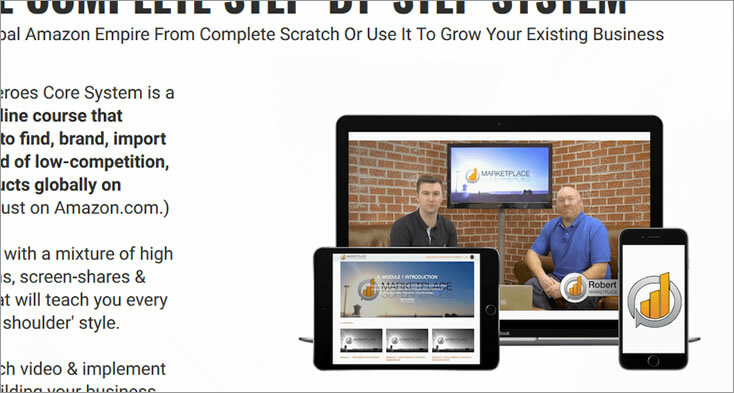 This program promises to provide you with all of the tools that you need to create a successful online selling business. International expansion: This is rare when it comes to other courses for Amazon since most only focus on the United States. However, this program promises to show you how to sell on a global scale. Product selection: You learn about the specific products types that may deliver the success that you are looking for. You also gain knowledge about how to choose the best products. As part of the program, you have access to a community of others who are using the program. Other Amazon courses have a more active community, but this is an additional resource to consider. The private Facebook community can help to answer your questions or provide other support. This also allows you to talk to others going through the program to compare notes and help each other. It is said that Robert often stops by the community to see what is going on and to answer questions. This shows that he is important about nurturing his course and those taking it. To become an established seller on Amazon, the core program is said to give you everything you require. However, the bonus training simply takes this wealth of knowledge a step further to educate you on the more complex elements of online selling on Amazon. $1k Per Day Road Map: This bonus promises to aid you in achieving $1,000 in daily sales. 30 Minute Legendary Listing: The purpose of this bonus is to help you to create listings that convert so that you can maximize your sales. Make the Market: This is where you can learn more about market analysis via three videos. Fuel your empire: Watch Stephen and Robert as they personally start looking for new products to sell on Amazon. Invincible importing: This focuses on helping you to easily import your products by masking the importing process. Fuel your empire videos: This includes three videos that works to show you how to streamline and speed up the process of product research. Robert Rickey and Stephen Somers are the brains behind Marketplace Superheroes. The Irish entrepreneurs wanted to develop a program that could help others accomplish what they did on Amazon. Rickey has been an online seller for 20 years, helping numerous companies achieve millions without the need for any outside funding. He says that while success is a constant in his life now, he has had an array of failures to learn from along the way. Somers’ online selling career goes back about seven years and began before he met Somers. He has spent thousands trying to start a business, but it was not until meeting Rickey and being mentored by him that he found ways to create ultimate success. Both Somers and Rickey are responsible for this program. Both state that they are achieving seven figures by selling online and using the principles they teach in Marketplace Superheroes. How Does Marketplace Superheroes Work? In this Marketplace Superheroes review we will give you a brief outline of what is found in this program. Module 1: Learn about how to maximize what you learn about what you will gain from the course. Module 2: Teaches you how to use the program’s product analysis tool and strategies for product research. Module 3: From the search phase, you learn about better filtering your products. Module 4: More information about choosing the best product opportunities. Module 5: Starting your supplier search and more information about picking solid product opportunities. Module 6: Finding suppliers, placing sample orders, branding, negotiating and packaging. Module 7: Creating your seller account and structuring your business. Module 8: Learn the purchase and import process. Module 9: Learn the FBA process, labeling requirements, Amazon seller central and related information. Module 10: Creating the best product listings. Module 11: Managing your business daily. Module 12: International expansion of your Amazon business. How Much Does Marketplace Superheroes Cost? Any good Marketplace Superheroes review will explore the cost and compare it to the cost of similar programs. Marketplace Superheroes costs $997 as a one-time payment. You can also elect to pay $97 a month over the course of 12 months. They accept several payment options, including PayPal credit for those who qualify, and the website is secure. They offer a rock-solid guarantee with no questions ask for a refund within 30 days. This cost may seem high, but when compared to other programs that teach selling on Amazon, it’s really similar in price. In this Marketplace Superheroes review, we want compare this program to other well known Amazon courses on the market. While Marketplace Superheroes seems to be a good training program for selling on Amazon, there is simply nothing comparable to the Amazing Selling Machine. The Amazing Selling Machine is truly in a league of its own. Their teaching is on the cutting edge and always stays up to date when Amazon makes changes. Plus, they always have the latest cutting edge techniques that are working right now to make selling more profitable. The biggest obstacle people have with when it comes to the Amazing Selling Machine is the price. At $3,997 it’s one of the highest priced Amazon courses on the market. Compared this to the $997 cost of Marketplace Superheroes, it would seem like Marketplace Superheroes is the better program. While Marketplace Superheroes has a better price, it’s not as good as the Amazing Selling Machine. The Amazing Selling Machine wins out in everything except price. In this Marketplace Superheroes review, we will also compare Marketplace Superheroes to the Proven Amazon Course. The Proven Amazon Course is one of the longest running courses about selling on Amazon. 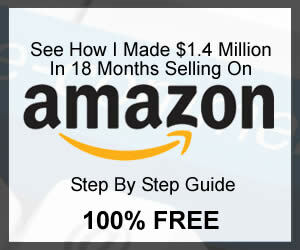 It’s helped thousands of people become successful as Amazon sellers. We do feel that the Proven Amazon Course and Marketplace Superheroes are pretty evenly compared in what they teach. Marketplace Superheroes wins out in the format the course is laid out. It’s presented in a professional organized modern classroom style. The Proven Amazon Course is not as user friendly in its presentation of content and format of lessons. It’s a bit hard to navigate. That being said, both courses seem to cover most of the same material. The Proven Amazon Course however goes beyond private label into other forms of selling on Amazon such as retail arbitrage. The Proven Amazon Course costs just $399 vs the $997 for Marketplace Superheroes. If you’re concerned about how the course is laid out then Marketplace Superheroes is for you. If you want the best budget course on the market then you’ll love the Proven Amazon Course. In this Marketplace Superheroes review, we will also compare Marketplace Superheroes to the Private Label Classroom by Scott Voelker. The Private Label Classroom is one of the newer Amazon courses to hit the market but that doesn’t mean it’s not good. It covers everything you’ll find in Marketplace Superheroes so the two are equal when it comes to what is taught. However, we love the way Scott teaches in the Private Label Classroom. He is very easy to understand and teaches in a way that makes learning fun. Scott also provides so much other content and has a community that really is there should you have questions. While the cost for the Private Label Classroom is $1,397 compared to the $997 for Marketplace Superheroes, we feel the Private Label Classroom wins out just slightly because we love the way the lessons are taught. How Much Money Can Be Made with Marketplace Superheroes? The two men who created this program report earning seven figures a year. They also make it clear that this will not happen overnight. There is not an exact figure of how much you can make or how quickly you will start earning. This program gives you the tools, but you have to work them. Reading reports from people who allegedly used the system show an approximate average of $500 to $1,200 per month starting at some point in their first year. One commenter stated they did learn valuable tips and got some honest leads. There is no Marketplace Superheroes review on FaceBook at this time, but the visitor posts are largely positive. When visitor posts ask a question, those running this page appear to be very responsive and ready to help. Very responsive to questions and concerns. Tips appear to be valuable and applicable to Amazon. Program appears to translate to the international market. Limited presence on the internet as far as reviews. Cost is reportedly daunting for some people. This concludes the Marketplace Superheroes review, so what is the final verdict? The program is comprehensive and very detailed. It is definitely a legitimate opportunity and not a scam. The cost and related details are clear and upfront. They also respond very promptly when we contacted them. According to users, they also are involved in the community to help and offer support even though reviews are limited. This is a product we recommend but can’t give it our full recommendation at this time. We may change this as we gather further information on the program and see more actual customer reviews posted online. Actually, there is nothing like The Amazing Selling Machine, it’s in a league of its own. They update often and stay on the cutting edge of everything that changes on Amazon. 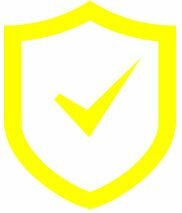 If the cost is simply something you cannot get past, then I would recommend the Proven Amazon Course. The Amazing Seller is also good by Scott Voelker but again, not as good as The Amazing Selling Machine. i need for systematic structure Do you think MarketPlace SuperHeroes would be good for this? 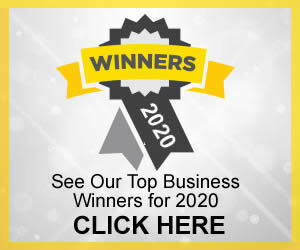 As we say in the review, Marketplace Superheros is good, and is more systematic than Proven Amazon Course, that being said, the program that has the best system to teach people to sell on Amazon is The Amazing Selling Machine. If that’s just not an option, yes, Marketplace Superheros may be better for you or you can even look into Private Label Classroom by Scott Voelker. Hi Scott – MPSH seems really excellent, however, once in there is another option to upgrade to their mentor program for additional cost. Once in the ASM course – do they upsell you to have mentors and more expensive “If you pay for this, you are even more likely to get guaranteed results faster”? MOSH is around $5k (depending on what you go for) for the mentoring and there are chepaer and different scenarios. What are the upsell costs at ASM? ASM has no upgrades. You get everything for the cost you pay to sign up. Of course there are tools outside of ASM that are good to use such as Jungle Scout and they may mention them but their program has everything included.